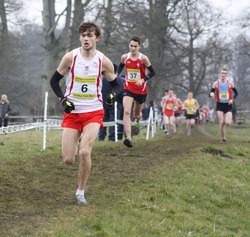 Henry Pearce ran for the Great Britain under 20 men's team at the Great Edinburgh Cross Country International, on 5th January. Henry placed 14th overall, in a match against USA and The Rest of Europe. He was the fifth GB man to finish. This was Henry's first ever GB vest. Following her terrific run in the European trials at Liverpool, at the end of November, Sophie was selected for the England under 20 women's team. She raced in the McCains Cross Challenge in Antrim and placed sixth. Nicole Taylor was just one place behind racing for a South of England representative team. Sophie's England selection follows on from her English Schools selecion in March 2012. Laurie was selected for his first England vest, following his performance in the European trials at Liverpool, at the end of November. Over the Christmas period he had to stop running with a foot injury, but deligently kept fit with cross training. Even a week before the race he was a doubt, but in the end had a good race to place 9th in the men's under 20 race. 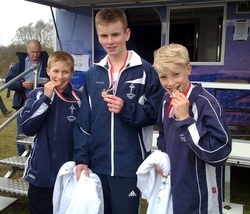 The under 13 boys team of Charlie Crick, James Puxty, Tom Kendrick and Leo Rossouw won the National team title, at Herrington Park, Sunderland. 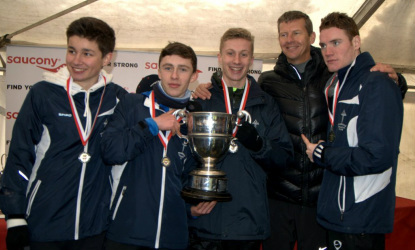 The under 17 men's team boys team of Hanro Rossouw, Corey De'Ath, George Duggan and Sean Molloy won the National team title, at Herrington Park, Sunderland. Tom Kendrick ('TK') won the National under 13 championship, at Herrington Park, Sunderland and led the team to victory aswell. He became the fourth TAC athlete ever to win a 'National' following on from Julie Adkin (now Goodge), Andy Graffin and George Duggan. 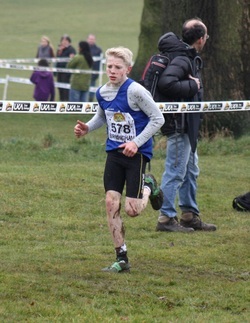 Tom followed up his National win with victory in the UK Inter Counties, which is an even tougher event. He became the first TAC athlete this century to win a UK cross country title, whilst he also led the Kent team to victory. Alasdair was selected for the England Schools Junior Boys (years 8 and 9) team for the Home International. The race took place in the grounds of Newton House, at Llandeilo, in Wales. 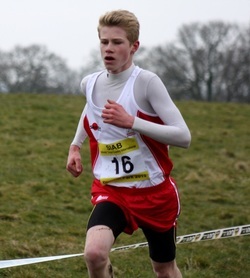 Alasdair had been selected as a result of his eighth place at the previous weekend's English Schools Championships and so his 5th place here represented a very good run, as he scored for the England team. Luca was selected to race in the under 20 men's race in the grounds of Newton House, at Llandeilo, in Wales. This was his second international vest, but first in full match competition. He placed 10th in the race. 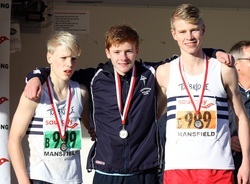 Charlie Crick, Jesse Magorrian and Tom Kendrick combined to win the National Road Relay Championships. Jesse ran the third fastest lap of the day on the opening leg and was competing in his first race for TAC, having recently moved from Hastings. James Puxty, racing for the B team ran the 4th fastest lap and had been unlucky to miss out on selection for the A-team, having only just flown back from Australia. 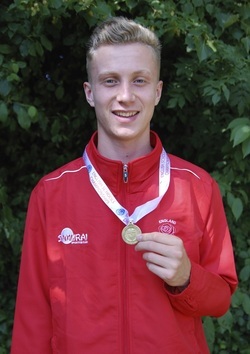 George Duggan won the English Schools, Inter Boys 1500 metres title at Birmingham. This was George's second such track title, as he won over the same distance in 2011 in the younger age group. As a result of the win George was selected to run for the England team in the home international in Dublin. 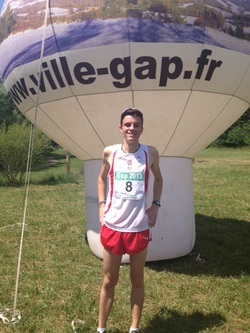 Max was selected for the England under 20 team that raced in the Mountain Running World Cup event in Gap, France, in July. He qualified, through a combination of a fell race performance, but also his cross country results. On the day Max was 13th and third Englishman home. This was Max's first ever international of any kind. 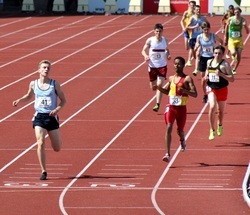 George ran the 1500 metres for England Schools in the home international, which was held in Dublin. Competing against Scotland, Ireland and Wales he placed sixth in the race. 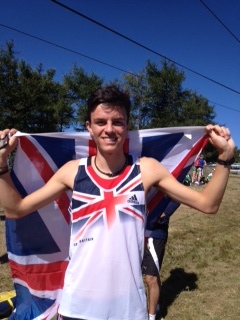 Max Nicholls represented the Great Britain under 20 mens team at the World Mountain Running Championships, held in Poland. Max had an excellent race to finish 12th overall and be the second scorer for GB. This helped the team capture the bronze medals. 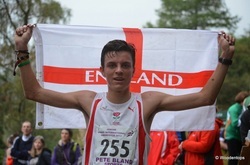 Max Nicholls continued his international mountain running career by representing England under 20 men in the home international. Max won the race, which was held in Scotland. 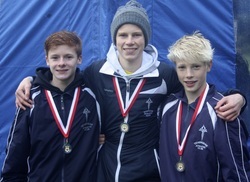 Jamie Goodge, Alasdair Kinloch and Tom Kendrick won the National Road Relay title, at Sutton Park, Sutton Coldfield. Ally ran the 4th fastest lap of the race and Jamie the 6th fastest, with their combined time beating the best ever TAC performance in this championship. 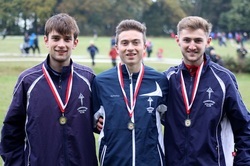 Tom Kendrick, Jamie Goodge and Alasdair Kinloch convincingly won the National Cross Country Relay title, at Berry Hill Park, Mansfield, to follow on from their road relay success. Jamie, on this occasion, ran the 5th fastest lap of the race. Dominic Brown, Robbie Farnham-Rose and Ryan Driscoll produced the first Tonbridge under 20 mens win since 1991. Ryan and Dominic possibly had the best races of their lives to put Robbie in 3rd place at the changeover. Robbie took the lead and hung on for a two second victory over Liverpool. 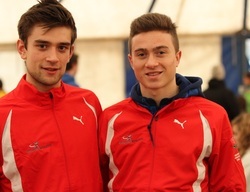 Dominic Brown and Robbie Farnham-Rose were both selected to run for the England Under 20 men's team at the Lotto Cross Cup, in Brussels.